DUI accidents or car accidents involving intoxicated drivers often produce serious injuries and death. A car accident involving a DUI or intoxicated driver subjects the at-fault driver to punitive damages. However, all to often the driver may have little or no insurance. Illinois Dram Shop allows an individual injured in a DUI car accident to file a claim against any bar that served the DUI driver and caused his intoxication. The Dram Shop law is statutory and these cases can be very complex. If someone you know was injured by a drunk driver, it is very important that you seek legal advice. The at-fault drunk driver, and the bar that served him, have insurance companies with a team of professionals that are working to deny or reduce your claim. Don’t you think you should call and get a TOP notch law firm working for your side. Call today for your FREE consultation. We promise you’ll be glad you did. The magnitude of the problem with DUI related injury and death is staggering. Nearly 3 out of 10 people in America will be involved in an DUI-related car crash in their lifetime. Nearly 8% of all car crashes are DUI-related. In Illinois over 50,000 people are arrested for DUI each year. DUI related car crash fatalities are 3 times more likely during the night than during the day time hours. Over 300,000 people are injured in DUI-related car crashes, an average of one person injured approximately every 2 minutes. Bob has tried 100′s of DUI related cases and knows the law regarding the driving under the influence. In Illinois there are very strict laws regarding the admissibility of alcohol and drugs against an at-fault driver. It is not a simple matter. In most instances it requires EXPERTtestimony regarding the results of scientific tests. The tests often involve blood tests which are taken to labs. The results are produced on sophisticated equipment that laboratory technicians must testify about. In Illinois, and most every state in the United States, the legal limit is a .08 BAC (Blood Alcohol Concentration) An individuals BAC is usually determined by a Breathalyzer Machine or by blood test. Breathalyzer machines convert the amount of alcohol they find in the breath to an approximation of the amount of alcohol contained in the blood or BAC. Blood tests are much more accurate and direct. 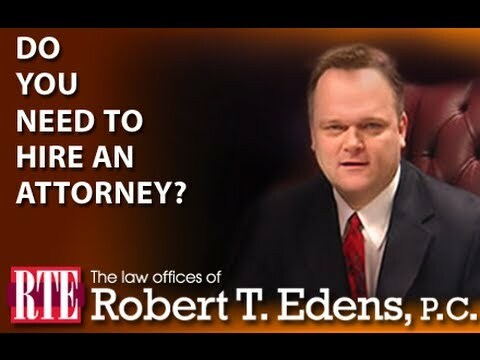 If you or someone you love has been injured or killed due to a drinking and drivingcrash Lake County attorney Bob Edens and his staff are dedicated and have the experienceto get you the highest possible compensation for your injuries. According to Illinois Secretary of State, over 40% of all fatal car crashes involve a drivers that are under the influence of alcohol. 76% of drunk drivers are male and 60% are under the age of 35. Most DUI drivers are out between 11:00 p.m. and 4:00 a.m., and are driving with a BAC of .16 or higher, twice the legal limit. According to the National Highway Traffic Safety Administration (NHTSA) 32,885 fatalities occurred in car crashes in 2010 in the United States. This included an estimated 10,228 people who died in DUI crashes, amounting to 31% of all traffic deaths in 2010. In Illinois nearly 500 people lost their lives in drunk driving crashes. DUI driving is a major cause of car crashes. According toNHTSA 10,228 people were killed in alcohol-related crashes in the United States in 2010; this means 31% of all trafficincident deaths. In fact, more than 500,000 Americans are injured in DUI related crashes each year. We sue DUI Drivers. Bob and his staff represent victims of DUI drivers who were injured in Lake County, Illinois. Bob has offices in Antioch, Waukegan, Grayslake and Barrington for your convenience. If your injuries make it difficult for you to leave your home or the hospital, Bob will come to you. We are a Law Firm that Represents Victims of DUI Drivers in Lake County. Have you or someone you love been seriously injured by a drunk driver in Lake County? Do you want justice for your loved ones? Do you want to make sure that this driverdoesn’tdo the same thing to someone else? Get the legal aid that you need. Call attorney Bob Edens atThe Law Offices of Robert T. Edens. The call is free, the advice may be priceless. Call 855-760-6746now regarding your drunk driving injury case. We servedrunk drivingvictims all over Lake County. What can I do if the other boater didn’t have insurance? What should I tell the insurance adjuster? A Car crash Caused by Drunk Driver is NOT an ACCIDENT! Like our friends atMothers Against Drunk Drivers (MADD), at The Law Offices of Robert T. Edenswe believe that a car crash caused by a drunk driver is NOT an ACCIDENT. It is a tragedy that was easily preventable. Drunk drivers are careless and reckless drivers. They constitute a deliberate danger to themselves and other drivers on our roadways. Car crashes that are caused by a drunk driver are entirely avoidable. Still irresponsible people get behind the wheel of a car while they are under the influence of alcohol everyday. It seems that no matter how hard the police crack down on drunk drivers, DUI victims continue to suffer. For those that have been injured or have lost loved ones, there are few words that can express the anger and emotion they feel. MADD is is pulling no stops in its support of DADSS for safety research to put an end to DUI fatalities on our roadways. DADSS hopes that in the future it could put an end to DUI drivers. They are doing research into two prototypes of advanced technology. One is touched-based and one is breath-based. More research needs to be done, but both technologies show promise in being able to accurately and precisely determine a drivers blood alcohol concentration (BAC) and stop the driver from starting or driving the car. If this technology was implemented throughout the United States, a legally drunk driver (one with a BAC of .08 or higher) would not be able to start or operate their car. This is exciting, but more importantly, it may really happen. DADSS has exceeded expectations and is entering advanced stages of research into both technologies. Hopefully our children will grow-up to drive on roads and highways free from the risk of death and injury caused by DUI drivers. MADD (Mothers Against Drunk Drivers) was founded by a mother who lost her daughter in a DUI related car crash. MADD is the nation’s leading nonprofit organization working fight against drunk driving and underage drinking. MADD’s mission is to stop drunk driving, support victims of this violent crime and prevent underage drinking. Illinois has a MADD chapter located at 1430 Branding Lane, Suite #104, Downers Grove, Illinois 60515; Phone: 630.541.6099, Toll Free: 800.591.6233; Fax: 630.541.6369; Email: il.state@madd.org. If you are interested in participating in MADD or making a donation please contact them directly. MADD has victim’s advocates to help those effected by drunk drivers. MADD’s goal is to help families with the emotional support that they need. MADD welcomes donations that support awareness campaigns and educational programs in our local area. Bob recognizes that State, County and Local law enforcement officers throughout Illinois are the front line heroes who keep our roads safe. High-visibility law enforcement programs such as road-blocks, TV and highway warnings, increase patrols during holiday weekends, special events, concerts and ballgames catches drunk drivers and discourages others from driving drunk. Bob and his staff would like to thank the officers of the Illinois Sates Police, the Lake County and surrounding County Police, and all Local Police Departments for their dedication to keeping Illinois citizens safe. In most every case, an individual that is pulled over for DUI in Illinois faces TWO separate and distinct legal problems. First, there is the criminal charge for DUI and related minor traffic violations. Second, there is the quasi-criminal suspension of their driving privileges. In Illinois it is unlawful to operate a car with a BAC of .08 or higher. It is also unlawful to operate a car while impaired. This is why many individuals charged with DUI will have two tickets. One for blowing over the legal limit and the other for being impaired. Yet another problem faced by individuals charged with DUI is the statutory summary suspension of their driving privileges. If the driver blows into a breathalyzer there is an automatic suspension of 6 months. If the driver refuses, there is an automatic suspension of 1 year. There are exceptions, but if the driver’s license is suspended, it is their burden to file a petition to remove the suspension and prove that it was not legally justified. In most cases these petitions are not successful at trial. Most of the time an offender enters into a plea. Illinois is unique in that it allows for a once in a lifetime supervision for first time DUI offenders. The standard plea in Lake County includes, among other things, fines of $850, costs of $1,250, 1 year supervision, drug and alcohol evaluation and follow recommendations for treatment, NO alcohol or illegal drug use for 1 year, NO being in bars or liquor stores, and attendance at a live victim impact panel held at Lake County Community College. There are aggravating factors as well. If the individual blows .16 or higher the fines increase by $500 and community service hours increase to 100 hours. If there was a child 16 years of age or under in the car there is a 6 MONTH jail-time provision. Any conviction for DUI in Illinois results is the revocation of the individuals driving privileges. Therefore, if you are convicted in any other state, your license in Illinois will be revoked. AGAIN, only Illinois allows for a non-conviction supervision for first offenders. If a DUI driver from Illinois is out of state, they will lose their license. Illinois Dram Shop Law places a duty on bar owners NOT to serve intoxicated patrons. If they serve an individual and as a result the individual becomes intoxicated and injures another, the bar can be held liable for the injuries. There are limits to the amount of damages that an injured victim can collect from the bar, currently just over $65,000 in most cases but this amount goes up each year. The state of Illinois makes it illegal to sell alcohol to minors. Owners of bars and liquor stores, and the bartenders and clerks, can be fined and have their license to sell alcohol taken away. It is not only illegal for a bar or liquor store to sell alcohol to a minor, it is illegal for adults to give or sell alcohol to a minor.Giving alcohol to a minor is a class A misdemeanor, contributing to the delinquency of a minor. Underage Drinking and Driving – The Problem – The Law. It is during these holidays that the Police Departments of our State are out in full force attempting to save lives of innocent victims. Many mistakenly believe that New Year’s Eve is the #1 holiday for DUI arrests. Most are surprised to learn that New Year’s Eve runs a big second to the holiday that statistically has the largest number of DUI fatalities, Thanksgiving.In 2008, 389 people were killed on Thanksgiving in car crashes in the United States; thousands more were injured, and most of the collisions involved an alcohol-impaired driver. 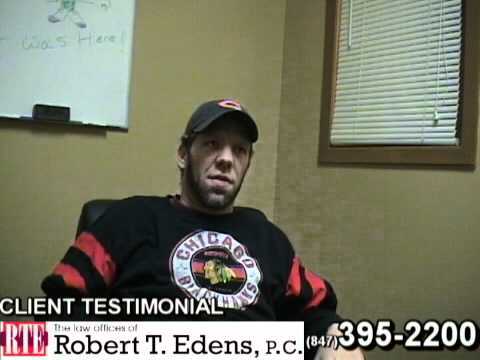 If you or a loved one has been injured because of a drunk driver in Lake or McHenry County call Bob and get an honest opinion of what your case is worth?Bob and his staff have over 20 years of experience protecting the rights of individuals who have been hurt by drunk drivers. 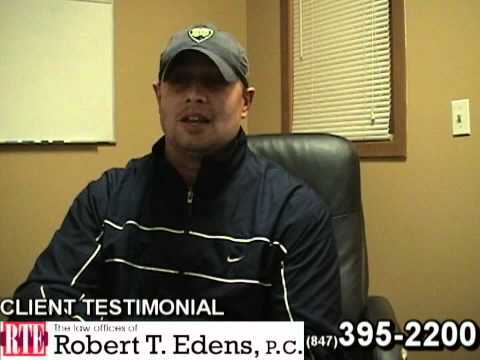 If you have been injured, let Bob help you fight for your rights and get you the money you deserve. Call toll free 855-760-6746for you FREE consultation and honest opinion of what your case is worth. We have offices in Antioch, Waukegan, Grayslake, and Barrington for your convenience. If for any reason you are unable to visit one of our offices, Bob will come to you. 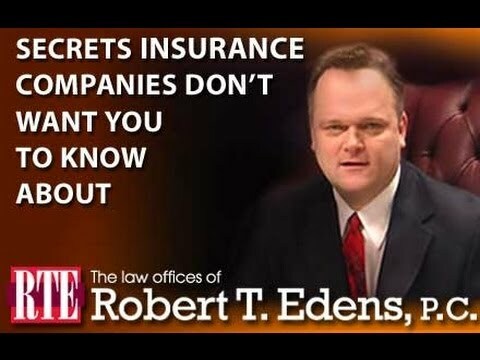 So don’t wait, protect your rights and call Bob today.